Finally, after a longer than expected delay, we’re asking you to select two upfront for our ultimate eleven. There will be a dedicated forum discussion thread for each position (a link is below). OVF will provide a shortlist of players that we think are suitable candidates. However, if we have missed a candidate out and you make a compelling case for their inclusion we will add them to the poll. 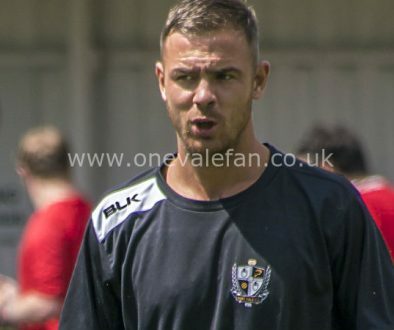 Wilf Kirkham: although no current Vale fans will have seen him (for those who want a glimpse OVF has this YouTube clip), how could we leave out the club’s all-time record scorer. Thirteen competitive hat-tricks is a potent symbol of his quality. Martin Foyle: and moving on to the club’s second highest scorer… Foyle was more than a mere goal machine though – his build-up play also marked him out as Vale Park legend… memorable goals against Stoke don’t harm his cause either! Tony Naylor: another striker with the ability to change a game, Naylor scored 89 goals for the club with many of them regarded as some of the finest goals fans have seen. The one against Sunderland is possibly the best goal seen at Vale Park. Darren Beckford: the striker took his time to find his scoring boots but when he did he guaranteed goals and he was top-scorer for four consecutive seasons. Tom Nolan: noted for his “cannonball” shots, Nolan netted 94 goals for the club before WW2 brought a premature end to his football career. Tom Pope: we can’t forget him. 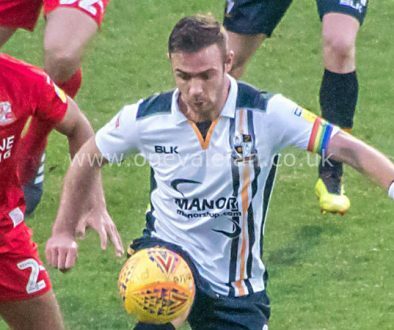 A Vale fan who fired the club to promotion in 2013, Pope is creeping up the club’s all-time scoring lists and we feel he is deserved contender. Bobby Blood: with a record of 47 goals in just 66 games we can’t leave this guy out. Injured in the war, Bob was told he’d never play the game and defied the critics. He also once hit a penalty so hard that the goalkeeper broke his wrist trying to save it. Wow! Ronnie Allen: a homegrown striker who was so good he would later play for England, Allen was sold to West Brom for a club record fee and would break Vale hearts with the winner in the FA Cup semi-final defeat. Voting closes in a month’s time.